The season of Advent started today. What a meaningful experience Christmas becomes as we ponder the birth of Christ throughout this next month. Instead of rushing around for the next four weeks, cooking, partying, shopping, and decorating, let’s take time each day to think about what Christmas means, why Jesus was born, and why we needed Him to come. As we stop and ponder, as we think about our God who humbled Himself, took on flesh, and became one of us so that we might know Him, may we each slow down and understand who this Jesus is and the true beauty of this Christmas season. A few weeks after my china cabinet fell and we decided it was too unstable to keep, my husband bought me a new china cabinet. Unlike the one I had been using, which was bookshelves with glass shelves and doors, this china cabinet is a solid piece of furniture which will not tip over unless we have the misfortune to be in a catastrophic earthquake. How like our Heavenly Father to not merely replace the broken things in our lives but give us so much more, such better gifts than we had before. We have the tendency to rage and cry over the things we lose. We mourn those things and ask God why He took them away. Yet, we are His precious children and He wants much more for us than we can even begin to want for ourselves. Our Lord replaces our lost things with better gifts, with things that are richer and more meaningful and more wondrous than our dreams. Years ago, Elisabeth Elliot wrote me a letter and in it she said that the plans God had “up His sleeve” were so much better than I could ever imagine. Isn’t that true? 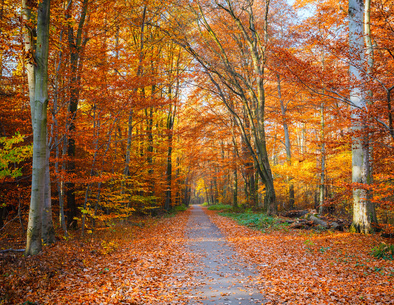 Isn’t the road He has planned for each of our lives a much better road than we, with our limited vision, could map out for ourselves? 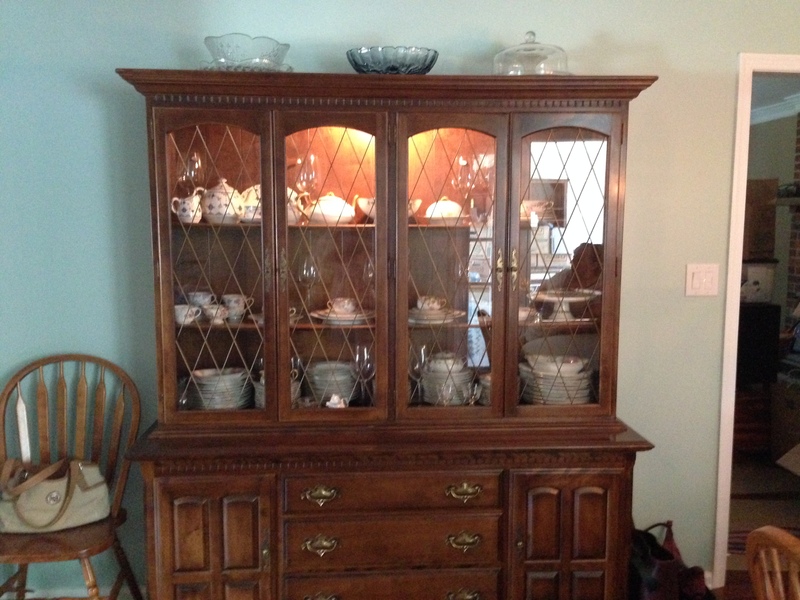 When my china cabinet fell and many things were destroyed, I never imagined that I would soon have a much better china cabinet, one which is not only sturdy and dependable, but beautiful and the showpiece of our dining room . If the Lord gives us small things like china cabinets, don’t you think that He will also give us the bigger and more important things like love, joy, healing, forgiveness, the peace that passes all understanding and, best of all, life with Him for all eternity? Our Lord is always good and the plan He has for your restoration will be perfect. Just wait and see.